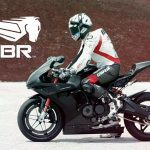 During the AIMExpo in Orlando, Florida last week, Erik Buell Racing (EBR) took the covers off its latest sportbike, the 1190RX. The company also announced it would be taking the 1190RX directly to World Superbike competition in 2014, with Geoff May the team’s number one rider. Joining the world championship was a dream both May and Buell talked about regularly, dating back to when May first joined the team in 2010 riding the 1125R, so clearly both parties are excited about the season ahead. May is highly regarded and respected by the EBR crew for not only his speed, but his feedback and development skills as well. 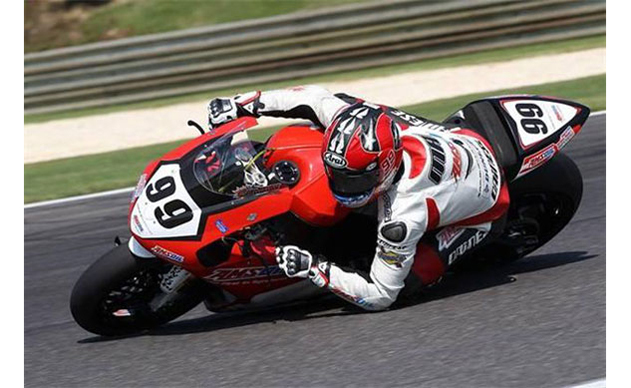 Because of its extremely limited production of approximately 125, the current 1190RS May has been racing in AMA Superbike, isn’t eligible for World Superbike competition. 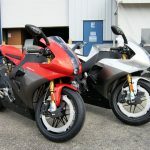 EBR plans to produce at least 1000 1190RX models during its first production run, which would be enough to satisfy the homologation requirements. May will be jumping into the deep end riding and developing a new motorcycle, against some of the best riders in the world, on tracks he’s never seen before, but he says he isn’t worried. 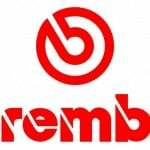 He credits his ability to learn new tracks quickly as reason for his confidence. He’ll need all the confidence he can muster, as the winter testing ban starts December 1 and lasts until January 15. The ban prohibits May, and any other full-time rider in the championship, from participating on tracks used during the season, even on a standard road bike, so whatever track time he can get will be extremely critical.